For the third time in a row, EUROPART has been chosen as "Best Brand" in the commercial vehicle parts trade category. 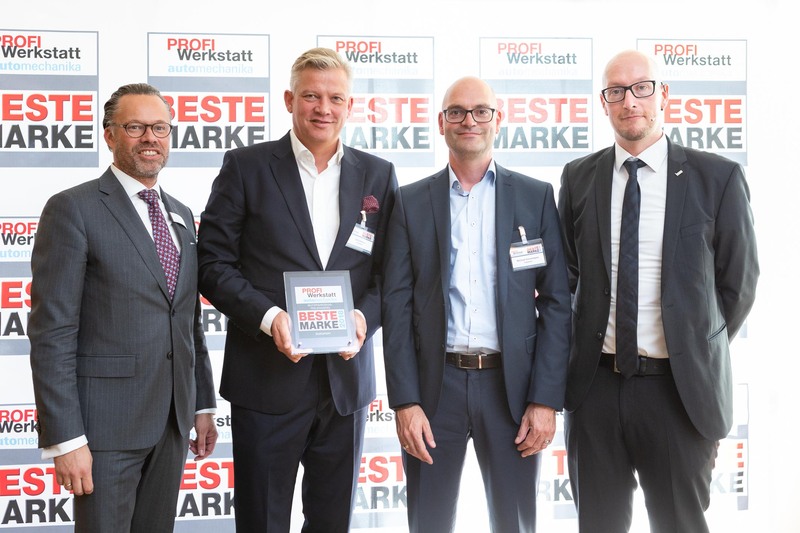 The readers of trade magazine Profi Werkstatt put Europe's leading dealer for commercial vehicle parts and garage supplies in first place with an outstanding 36.14 percent. They thereby distinguished EUROPART for competent and customer-friendly service, fast and precise logistics as well as for its comprehensive range of products. The traditional company from Hagen, which is celebrating its 70th anniversary this year, is being rewarded with this award for its continuously positive development of many years. "This is a fantastic confirmation of our work on site with customers and it really is something very special", Olaf Giesen, CEO of EUROPART says, emphasising the importance of this third success in a row. "This high regard has been earned by the entire EUROPART team." That is why Giesen accepted the award at the ceremony on September 11, 2018, which took place at the Frankfurt Messe exhibition centre, in behalf of the entire workforce, together with Michael Vennemann, Head of Sales for Central Europe. "Receiving the Best Brand award for the third time in a row shows that focusing attention on the customer in our work is the right thing to do. Furthermore, I am absolutely convinced that our brand strategy evokes a positive reaction", says Vennemann, describing the reasons for the win. "With our private label EUROPART Premium Parts, we offer an equal quality alternative to brand manufacturers. For many of our customers this is an important component in their collaboration with EUROPART." In addition to the award on the commercial vehicle parts trade category, the company from Hagen was also pleased about the good placements achieved in the other categories that it was nominated in. 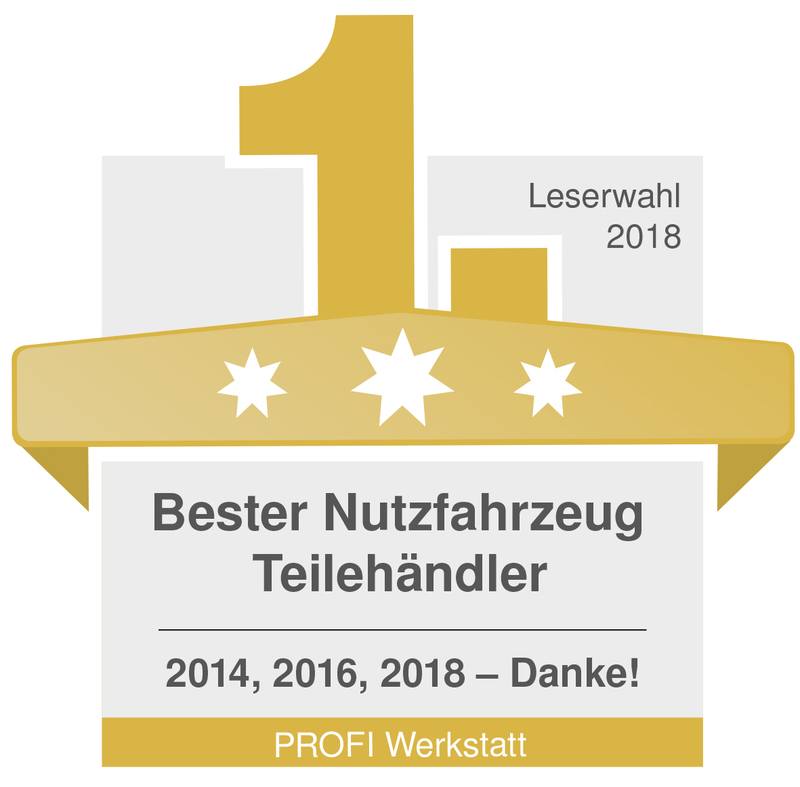 "Second place in the Oils and Lubricants plus the Garage Concepts categories, as well as third place in the Cleaning and Care category are outstanding", says Giesen happily. "On the one hand, this is a confirmation of the quality of the Premium Parts private label, and on the other hand, in the area of garage concepts it is proof that you can be successful on the market with an individual, brand-independent concept." Over the last decades, EUROPART has focused on the truck, trailer and bus segments, while consistently affirming its position as a European market leader. In so doing, the trade company follows the strategy of organic growth, targeted acquisitions as well as collaborations with national and international partners, in order to increase their market share. This path is currently being supported by the new EWOS 3.0. Not only is the new portal an online shop, it also offers customers many useful features for daily on-the-job operations.